M/S. Adinath Grinding Mills is glad to introduce its high quality product Acidic Ramming Mass. This range of Acidic Ramming Mass is successfully being used in Mains, Medium, and High Frequency Induction furnaces of a variety of makes, viz. G.E.C., H.B.B., Pioneer Inductrotherm, Electrotherm etc. 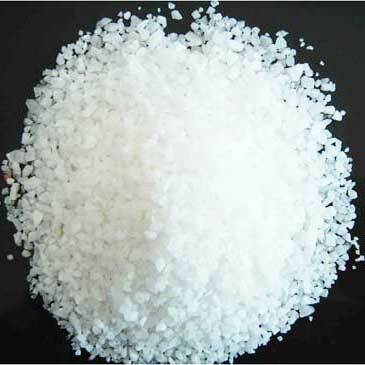 As, the name suggests this product is acidic in nature and has a melting point of 3274Â°F (1700Â°C).Our Acidic Ramming Mass gives wholly satisfactory results for super heating of metals up to 1700 Degree Centigrade. This range of minerals is offered to the clientele at competitive market prices. The basic use of Acidic Ramming Mass is in the lining of induction furnaces. It provides a smooth working of furnaces, an optimum output, and a better metallurgical control due to its better quality. Our qualified and experienced professionals strictly observe the manufacturing of Acidic Ramming Mass. Our magnetic process plays a significant role, so that the manufacturing is iron-free and the granules have a proper composition according to the furnace-capacity. The optimization of our granulation mixture is at par, with the capacity of the furnace which in turn provides us the maximization of results. Due to a low count of binders, fire clay and moisture, ramming mix is characterized by thermal stability, corrosion resistance and wears resistance in competence with plastic refractory. This product is basically suitable, for lining the iron melting coreless induction furnace. Binder is premixed according to the specifications of our clients. 3274Â°F (1700Â°C) is the maximum limitation which one could reach. Through a rigorous process of optimizing the mixture of granulations, we achieve major results. We are a famous manufacturer, providing the material according to the need of our clients. This company provides specific material, for a variety of scraps, end products and related to numerous factors. This grade has a range of 98.50 % to 99 % Silica amount, due to which it has a vast usage as Silica Ramming Mix. It easily fits into the common economic statement i.e. â��the best goods at the cheapest rateâ��. Keeping in view, of our client`s need we provide this pre mixed version of Boric acid. The most commonly used mixture of Normal Premix, has a percentage of 1.1 in our Indian markets.